CTOAAS: or CTO As A Service, means I offer early stage startups the ability to purchase a slice of time from an experienced CTO without having to hire me full time. This is increasingly important in the lean startup world we live in. My colleagues use other designations: John Shiple uses Freelance CTO, others use PartTime CTO or CTO For Hire, or Outsourced CTO. I like CTOAAS, because I offer my services in an elastic fashion, on the model of Cloud Services! When demand ramps up, I can offer more time, for an elastically increasing fee. This give a great deal of flexibility to the lean startup: they can have me for a full day, for a conference, for example, without having to commit to a full salary package. It also allows them to ramp up their usage. I can only spend half a day a week at the beginning, keeping things on track. Then, as they get closer to launch, I can start spending increasingly more time. And, as the clip of TheHackerCIO at the AT&T Hackathon shows me putting it: "I'm a part-time CTO for early stage startups. And an extraordinarily good one, I might add." TheHackerCIO has never been great at modesty, only honesty. That's where the "edge" comes in, which you might occasionally see here, in this blog. But, if I'm a CTO, then how can I be TheHackerCIO? Well, it's because I didn't always work for early stage startups. I worked as a senior Executive at many large companies: Merrill Lynch, AIG, Fannie Mae, BNP Paribas. When I was at a Mixer for CEOs, one of them noted, "You're more than just a CTO," and he was right. Because I've worked at large Enterprises, doing Enterprise Architecture, for example, I'm able to bring a set of large-scale insights to the small Startup that they rarely can attain. For instance, At a major bank, I migrated and rationalized an entire datacenter from NYC to King of Prussia. And, we put in a Disaster Recovery center while we were at it. This involved months of planning and execution: thousands of devices were moved in hundreds of individually scheduled moves. I presented the move methodology to senior executives and communicated the risk to their systems. As one of the top traders -- a 20 million/year compensated executive put it -- "I've never seen a better facilitator." That's because there isn't a better one! This is what raises me to the level of a CIO. But I don't find myself happy in those environments. And it's all about the pursuit of happiness, isn't it? Here is why I headed down the food chain to the level of CTO. These Enterprises lure me in with the promise of complex, demanding problems. Problems of scale. Recently, at a major Health Insurance company, Disunited Pathology, [names of Pathological Corporations have been changed to protect the guilty], they claimed they wanted a hybrid cloud solution that would scale to 200 Million Simultaneous users. Now that is a cool problem! But the bureaucracy of these Pathological Corporations is overwhelming, oppressive, depressing. They weren't serious about finding solutions to these complex, demanding problems. They simply wanted someone to work on them. They wanted to be able to point to a project and say, that's out "cloud POC." They wanted to avoid blame. That's why I found that I was really much happier working in a place with a lower Dilbert Index. I much prefer working in a Startup, because everyone is passionate about what they do. So, I've moved my sights down the food chain from CIO to CTO, or possibly even VP of Development. I want to remain in contact with technical problems. I want to hack. No child of mine will leave my house without having learned the gentle art of Hacking! Started just this week with my 15 year old daughter. I got her a copy of the Head First Programming. By the way, this series cannot possibly be over-hyped. It is far and away the best series of technical books there is, and I buy anything they produce, because the read is fun! I even got Head First Algebra and Statistics! The book is a gentle intro to Python for newbies. I'm far from being a Pythonista, as everyone here already knows. TheHackerCIO hacks Java. And a little Clojure. But Python seems cool. Might be even better than Java. I find my heart strangely warmed by philosophies such as "One right way to do anything." I'm a little unsure about the meaningful whitespace, but I definitely want to learn a bit more Python. And what better way than to do so with your loved-ones? That way you can share the Joy of Hacking with the whole Family. Coding is a life-skill. You can construct cool programs for the rest of your life to make your life better and further your values. So, chapter 1 it is. I'm sure further reports may hit my blogosphere! The Family that Hacks together, Stays together. Strengthen Your own family: get them hacking! TheHackerCIO received a comment on Why Hackers Hate Headhunters, complaining about the "pointlessness" not to mention the "meaninglessness" of a Job Requirement Posting that calls the salary "Attractive." James Attard notes that it's totally subjective. And what the company wants, or "requires" from prospective employees is far from subjective. They want someone, for example, with experience in using Hadoop for it's entire existence, since 2005, plus 4 years. And they wonder why people lie! But, suddenly, when it comes to offering a salary or compensation, they aren't so forthcoming! Now they pull out weasel-words and evade giving a straightforward answer. Actually, the Headhunters don't get this hit for this one. It's the Pathological Corporations, which is the subject of another days blog. I'm a big believer in mutuality, reciprocity, and contract. So, if the employer is requesting or requiring or desiring something of applicants, he should be offering something in return. To default on this principle is to undercut the whole basis of trust. It's actually a kind of theft. It amounts to saying, "I want all of this, and I'm willing to tell you in hideous detail what I want, but I'm not willing to tell you what I will give in exchange for this." And it leaves the applicant in a difficult case. If a salary range is offered, he would be able to judge and measure how important this role is, both within the organization and in relation to other organizations. He is able to determine how scarce these particular skills are, which may affect his own Technology Radar. And, he can start to build a relationship of trust with this prospective employer: which is based upon exchanging value for value. Another weasel-word used in this place is "market." How meaningless is that? Of course it will be a market rate. By definition, whoever takes this position will be setting the market price. Can you imagine a Bid-Offer spread at a stock exchange with an offer price of "Market?" How could anyone make a bid, without knowing the offer? Thanks to my UK readers for this one, whom I hope help me out by promoting TheHackerCIO to other UK readers who might appreciate the content. Just a moment ago, I received an email from the producers of a documentary, "48 to Launch." It's named after the 48 hours many Hackathons typically take. They filmed the entire AT&T Silicon Beach Hackathon and I helped them extensively -- especially with my evaluations of the contenders. I've coached a couple of Hackathons now, this last one our title was that of "Sensei," because we handled multiple teams -- there weren't enough "Coaches" to go around. That went down really well with me, because I'm a Brown Belt in Goju Ryu Karate. (Ni Kyu for those who know; Next April, outside of Kyoto, I'll test for Ichi Kyu). And my boutique consulting firm is very informed by the Martial Arts mentoring system and approach. But that's another day's blog. TheHackerCIO: This is everything that's great about America. Narrator: To help level the playing field, Veteran technology moguls hand select teams to mentor throughout the weekend. TheHackerCIO: I'm James Rothering, I'm a part-time CTO for early-stage Startups. TheHackerCIO: And an extraordinarily good one, I might add. I love to see the publicity for Hackathons, so I'm a very Happy Hacker today!!! And, having spent three years living in London, One and a half of them working for a Startup at Charing Cross, right next to Nelson's Statue; I know how much my London readers will appreciate me offering up my Obligatory "Have A Nice Day!" imperative! 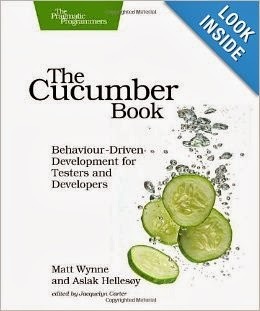 So the next book to be read by all my co-Geeks is the Cucumber book pictured above, followed by the Data & Reality book. The book is now on it's way to TheHackerCIO from Amazon and I'll be posting about it in the future. Most likely on Wednesdays. And after Cucumber, the runner-up was Data & Reality, which will be the next book for Geeky discussion. Behind Closed Doors, not to be confused with Behind Closed Doors, as I did on my first Amazon search! On the Java Performance book, the discussion of the day was rather light. One of the great things about this particular club is that the side discussions make up for the deficiencies of the books. We'll come back to that in a moment. Last nights' chapter was on Web Services performance. Many comments were raised about exotic JVM options. You can disable explicit GC calls with a startup-option. That's kind of weird, since you can't depend on GC happening from an explicit call anyway, so this is a very exotic option! GC, BTW, stands for Garbage Collection. It's one of the cool features of Java. In the bad old days of C and C++, you had to manage the memory you used in your programs yourself. Since everyone screwed this up, lot's of "leaks" of memory resulted. Consequently, when you run an application too long, and enough memory leaks, your whole system freezes up, or "hangs." Now you know why. Java helps in the regard, by simplifying memory management. I wanted to know what a NUMA architecture was, referenced in the book. NUMA stands for Non Uniform Memory Architecture. I apparently wasn't the only one unfamiliar with it. When I said to the group I'd like to know what it was they referred me to Google! I'll forgive them for it. At least this time. Next we discussed and reflected with surprise on the section where it was pointed out that XML processors are NOT thread-safe! "JAXP does not mandate that factory instances be thread safe." One of our participants told how he learned this the hard way, from getting a ConcurrentModificationException. He couldn't reproduce it, but synchronizing the method resolved the exception. We all disagreed with the book about the importance of XML. As far as we're concerned it's deprecated, and well deservedly, along with SOAP. Everything from now on ought to be REST and JSON. By the way, I really, really would appreciate some colleagues visiting my LinkedIn profile, found here, and endorsing me for REST. I only have two endorsements, and it's so low on the list. Yet I did the whole book club discussion about REST. At least you guys should endorse me for it. So, this blog posting is getting long, but the book club members primarily like todays posting. The side-bar discussion that was really interesting and tantalizing was a teaser about Resource Oriented Computing and the company Netkernel. Apparently, this approach is a complete paradigm change, according to our participant. He's researching it, and planning to implement ESIs (Edge Server Includes) as a first step, which have something to do with optimization of the CDN (Content Delivery Network). With any luck, we'll get a presentation from Earl on this! TheHackerCIO hates headhunters. The Hateful quality is not inherent in recruitment -- the job -- per se. It's because Headhunters don't love their craft. They treat technology as if it were a hash of buzzwords and their job as one of matching buzzword-desire (from companies) to found resume-buzzwords. The typical knowledge of Headhunters is so dismal and abysmal, that they have no conception of the ridiculous "requirements" they post. So, here is a requirement for a person with Hadoop experience of 7 - 12 years. Unfortunately, Hadoop was released in 2005. So they need a person with as at least as much experience as is physically possible, and ideally with 4 years more experience than the product has existed. The creators of Hadoop, Doug Cutting and Mike Cafarella, are poor candidates, for this position. They only have worked with Hadoop since the moment they created it. This is why people read Dilbert. Catbert posts similar requirement, such as this. I was shocked at a gathering of CTOs this year. In discussions about coding, I was the only one who still did so! I was visibly shocked and verbally unguarded about it, and it didn't go over to well with the gathering. I asked them how they could stand not to code. They replied that there wasn't time to remain coding. I asked them how they could avoid making the time. They claimed that other pressing matters simply made it impossible. One added that it had been five years since he last coded. In that moment, TheHackerCIO was born! Not physically born. That was many years ago. Not even born as a Hacker or coder or developer, for he was all of these thing from many years ago. But born in the sense that this moment crystalized a principle very fundamental to his approach, personality and career which is best encapsulated in the persona of TheHackerCIO. It's also part of his boutique consulting firm DNA: Codojo; where the model is that of a "coding Dojo" approach, where people collaboratively work together learning, practicing, perfecting skills. A Dojo, of course, is a "place where you learn the way," and in such a Karate studio, a decent Grandmaster will tell you that "basics," are of critical importance. You start off learning them. You perfect them. And you never stop. Never. Ever. No Karate master ever stops working on his basics. Neither must a technologist ever allow himself to be drawn away from the basics. He must remain a Hacker even while he learns the skills necessary to achieve CTO or CIO status. To be a decent CTO or CIO you must be a HackerCIO. If you stop Hacking, from that moment forward your career is already dying. 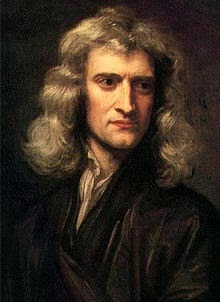 It's just a question of time before you are completely irrelevant.